SERVPRO of Macon understands the stress and worry that comes with a fire or water damage and the disruption it causes your life and home/ business. Our goal is to help minimize the interruption to your life and quickly make it "Like it never even happened." SERVPRO of Macon specializes in the cleanup and restoration of residential and commercial property after a fire, smoke or water damage. We can also mitigate mold and mildew from your home or business as well. Our staff is highly trained in property damage restoration: from initial and ongoing training at SERVPRO’s corporate training facility to regular IICRC-industry certifications. Rest assured our staff is equipped with the knowledge to restore your property. 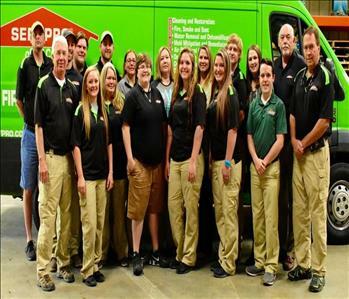 With a nationwide system of qualified franchises, no damage is too large or too small for SERVPRO of Macon! 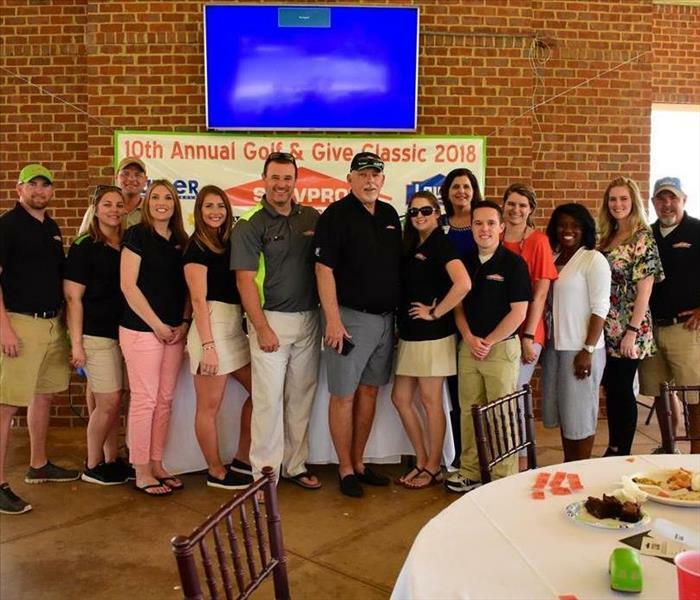 Our local SERVPRO of Macon business has been a locally owned and operated franchise catering to Bibb County since 1981 under the ownership of Carl and Martha Goodrich. 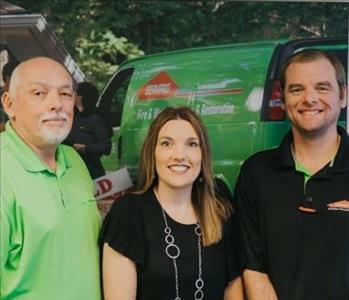 Carl became an Area Distributor for SERVPRO Industries, Inc. in 1998 and was responsible for 18 SERVPRO franchises in Georgia up until the end of 2010 when he sold his distributorship. He also became a certified instructor through the Georgia Department of Insurance in 1998 and teaches multiple insurance continuing education classes throughout the year across the state of Georgia. He hosts many of these insurance continuing education classes at SERVPRO of Macon where any insurance agent or insurance adjuster needing the credit hours can attend for free and enjoy Martha's complimentary cooking for breakfast and lunch. Millionaire's Gold Award for Outstanding 2011 Sales Performance awarded by SERVPRO Industries, Inc.